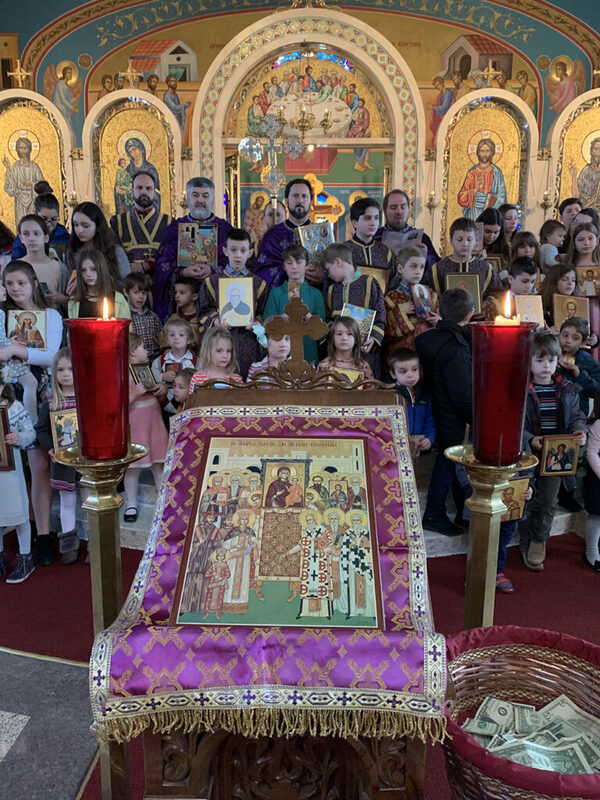 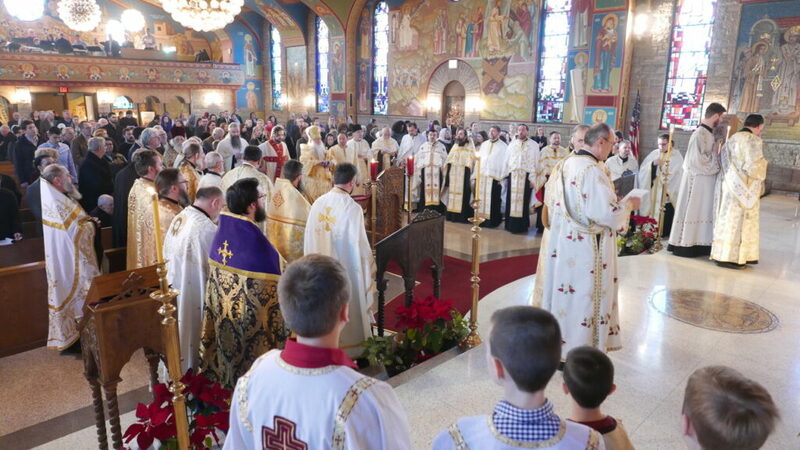 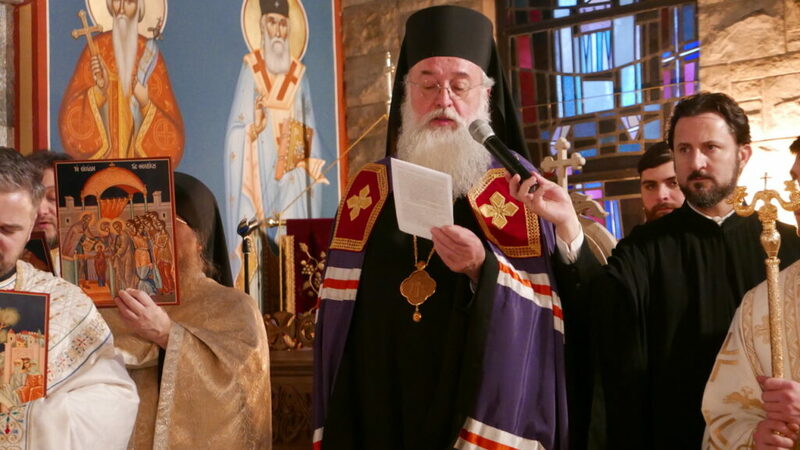 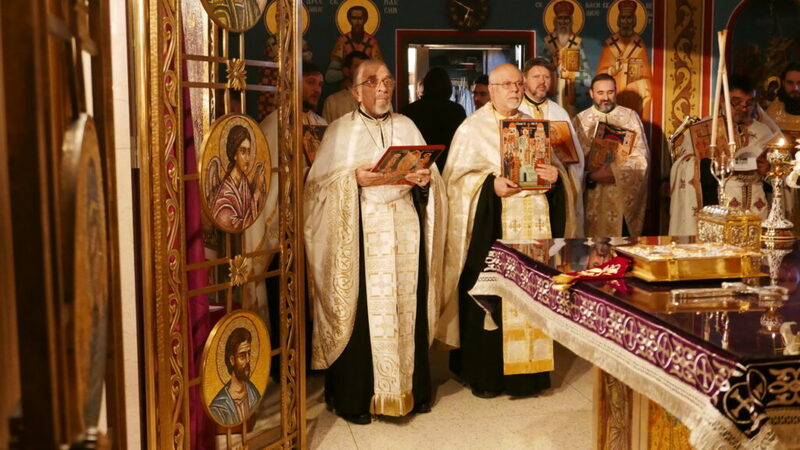 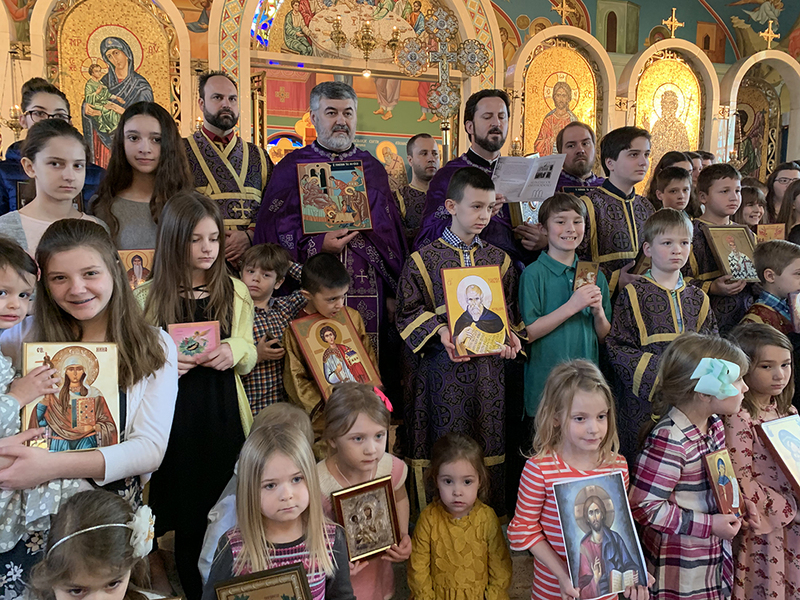 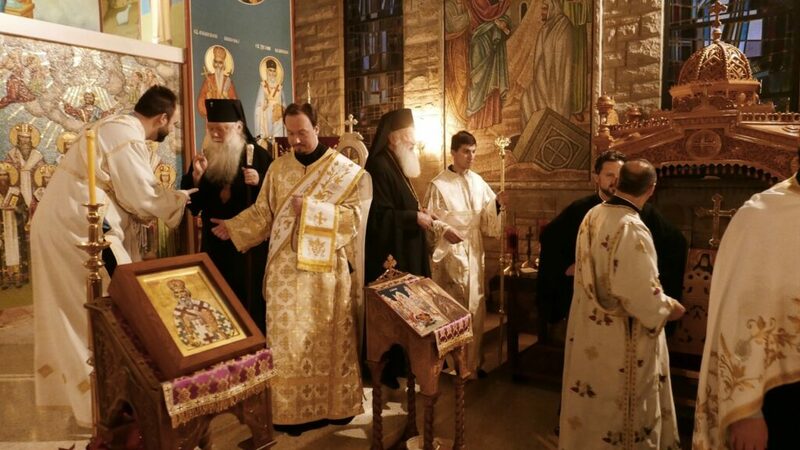 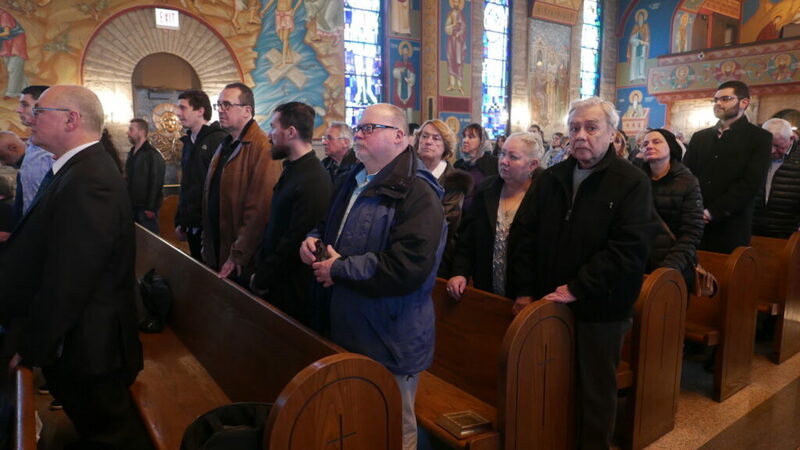 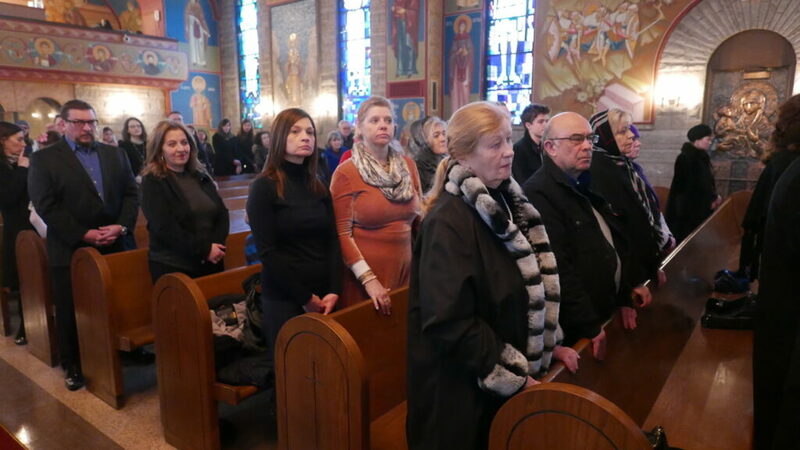 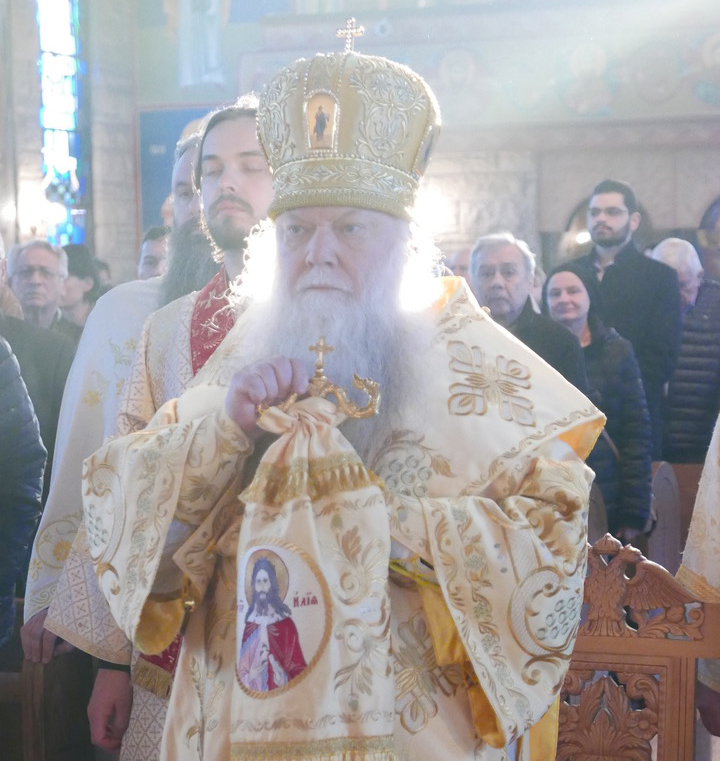 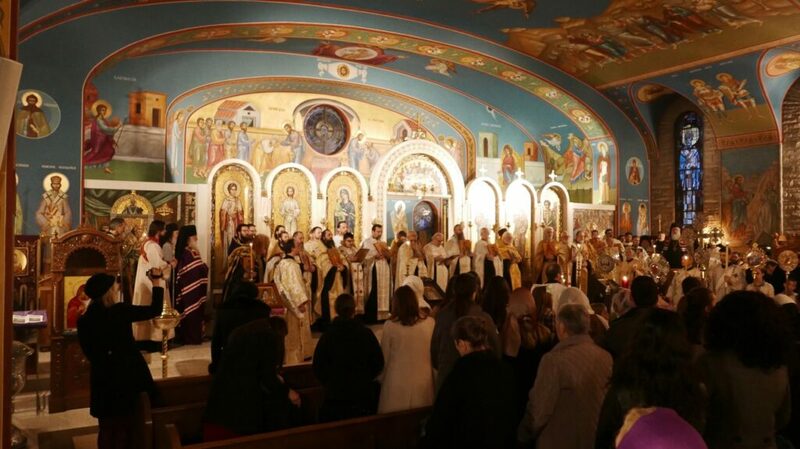 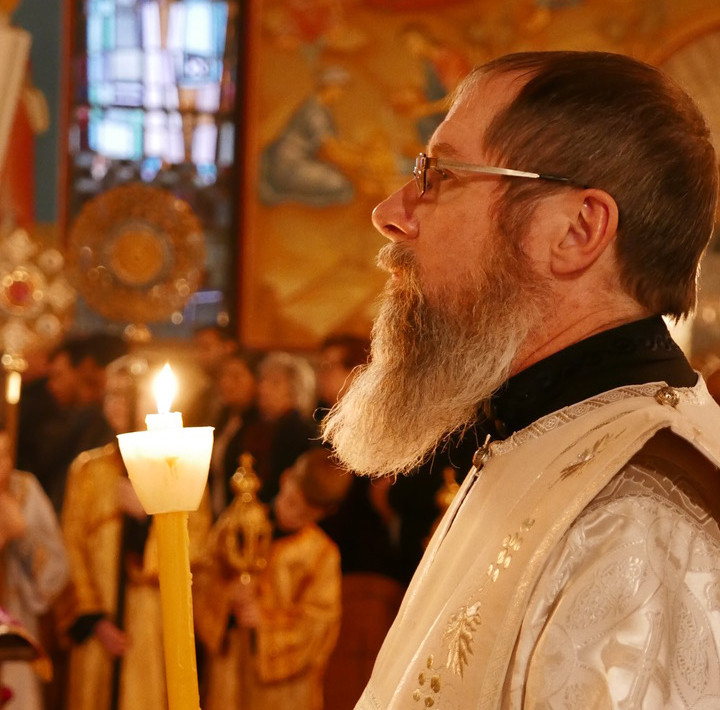 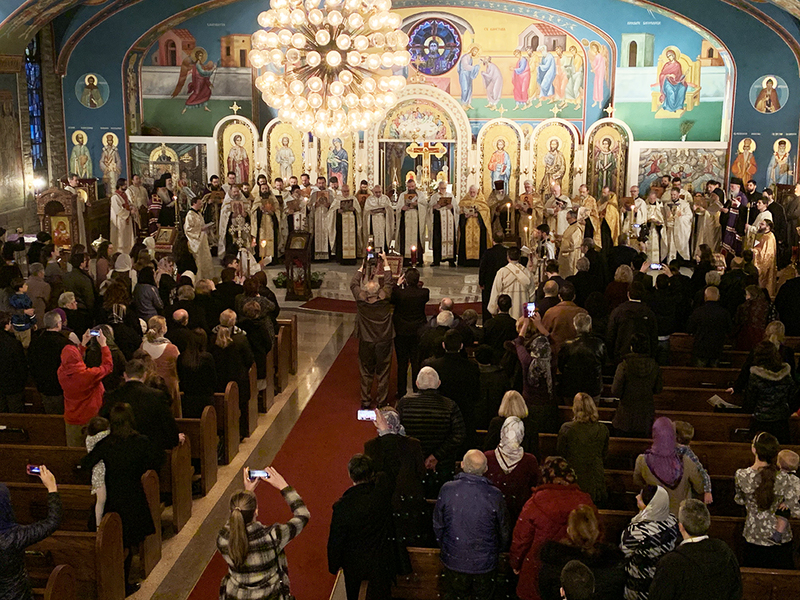 The first Sunday of Great Lent – the Sunday of Orthodoxy, was prayerfully and festively celebrated in Holy Resurrection Cathedral in Chicago. 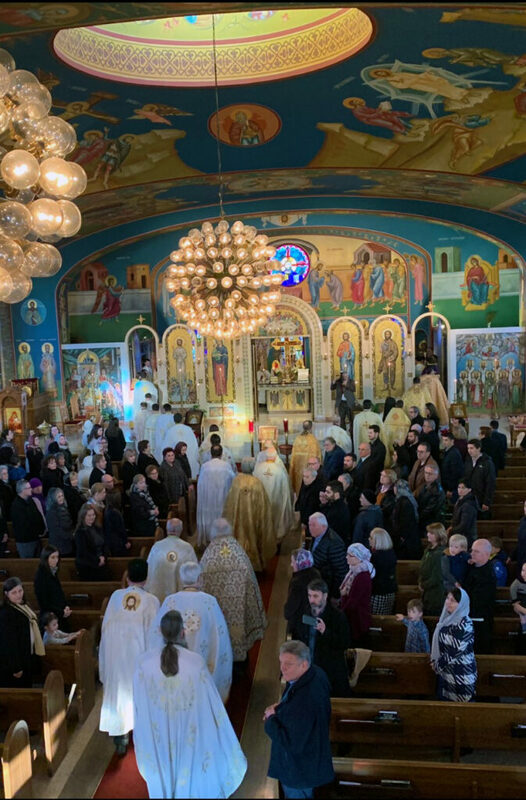 Divine Liturgy was served by all of the parish priests: Archpriests Darko Spasojevic and Dobrivoje Milunovic and Priest Nikolaj Kostur. 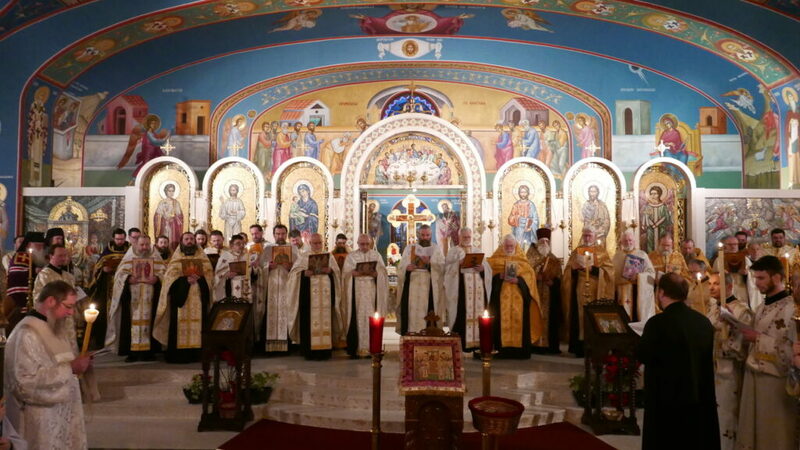 S.S.S. 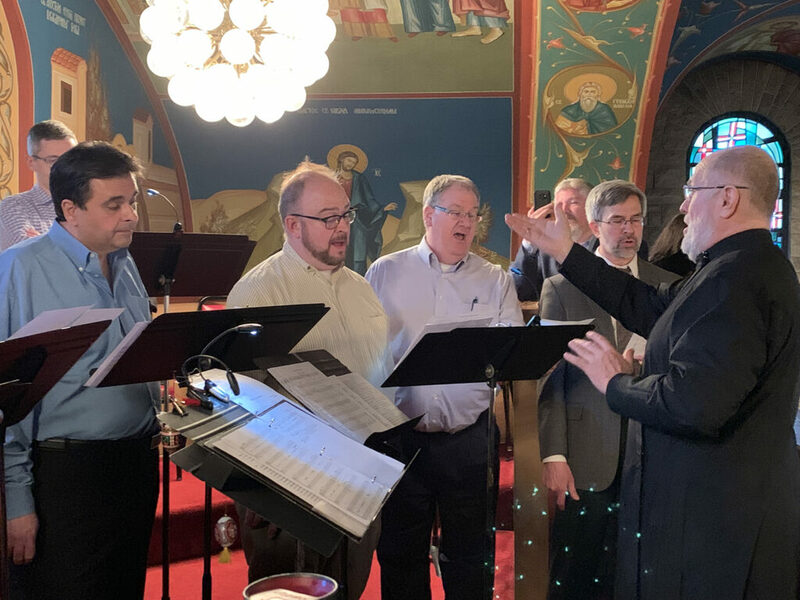 Branko Radichevich Choir, directed by Jelena Stojakovic, sang responses at the liturgy. 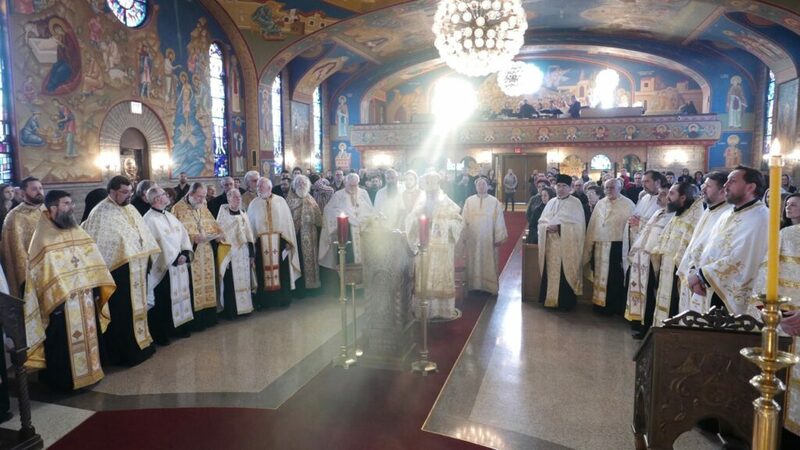 Also, many servers participated in the Altar. 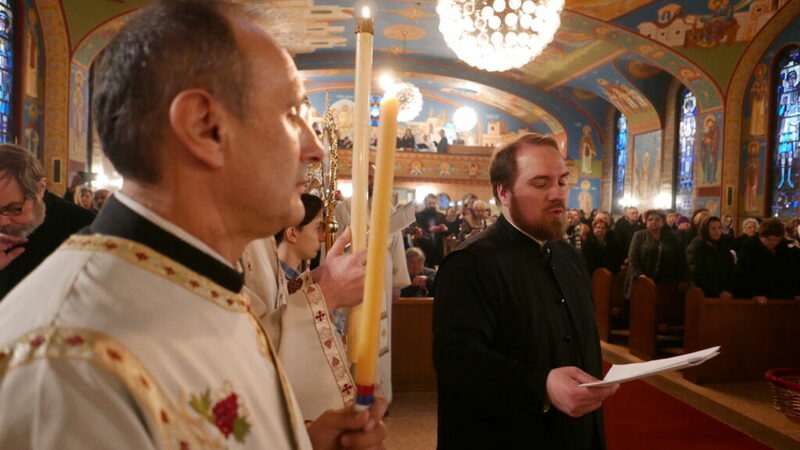 After the Prayer behind the Ambo, the clergy, servers and a large number of children with icons in their hands participated in a procession, in that way showing the triumph of the true faith over heresies, schisms and all temptations which the Orthodox Church has encountered from the beginning to the end of the world.